For centuries, folklore and old wives tales have been an integral part of how we live day to day, but this isn’t just a trait of the UK. 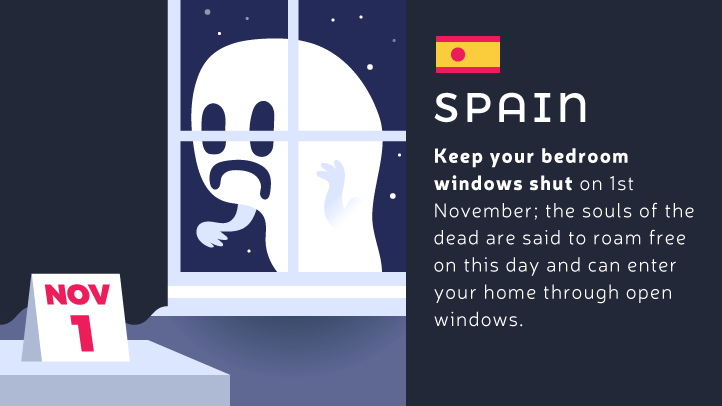 Many countries around the world have their own unique superstitions, some reasonable, others might seem a little more out there (to us anyway!). There are a lot of superstitions around that are said to bring about misfortune or bad luck for those involved, but some are said to bring good luck and fortune too! 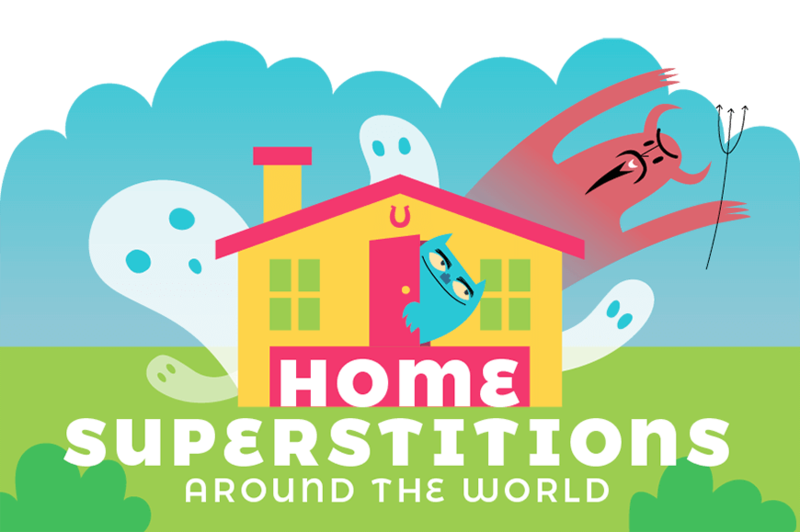 Here we’re going to look at some of those superstitions and in particular, those about the house and home. Tempting fate; we’re all guilty of doing it, but why? Make a resolution right now to stop enticing wicked vibes in to your life, and while you’re at it, avoid any of the following to keep fate at bay. In the UK, not even your bread is safe! This one is more commonly referred to in the North of England, but we don’t think fate takes in to consideration boundary lines. 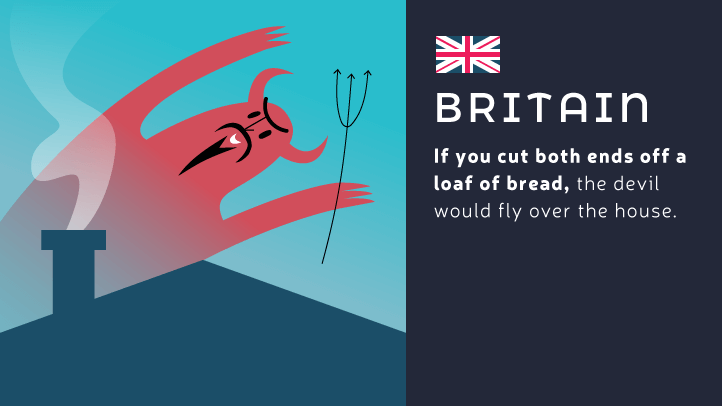 It’s said that if you cut both end off a load, then the devil himself will fly over your house! We’re not entirely sure why the devil feels so strongly about the crust-end, but why tempt fate? Other countries that believe certain practices will encourage evil, include Spain, Ireland and Korea. 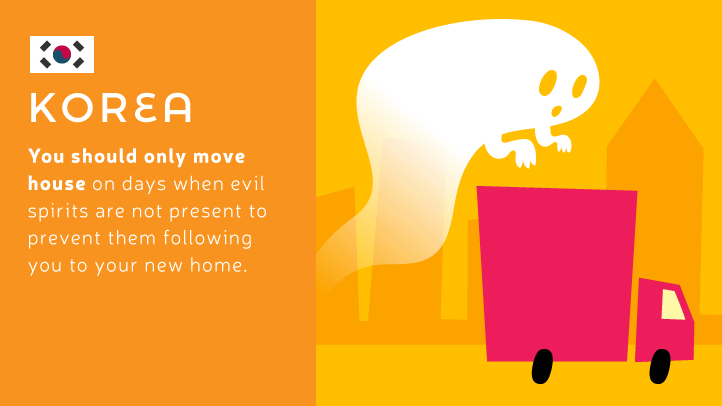 In India it is considered bad form, and bad luck, to sweep your house after dark. 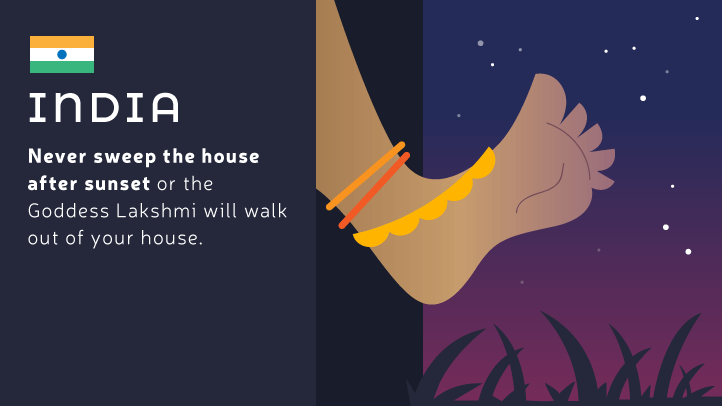 According to superstition, doing so will encourage Lakshmi, the Hindu Goddess of wealth, fortune, and prosperity, to walk out of your home. Want her to stay? Save the cleaning for the day time. Been putting off getting that clock fixed? You might grab yourself a new set of batteries sooner rather than later after hearing this. 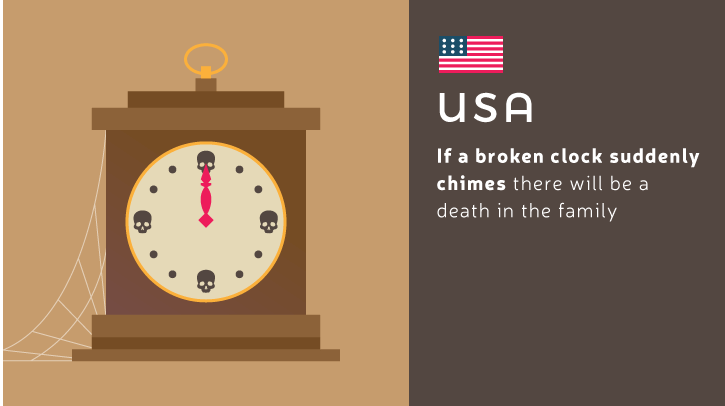 In the United States, it’s believed that if a broken clock suddenly chimes, then there will be a death in your family. Why tempt fate when you can pick up a set of batteries on your way home tonight? Having a little tidy-up? 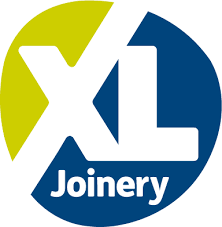 It might be time to re-think your entrance hall. 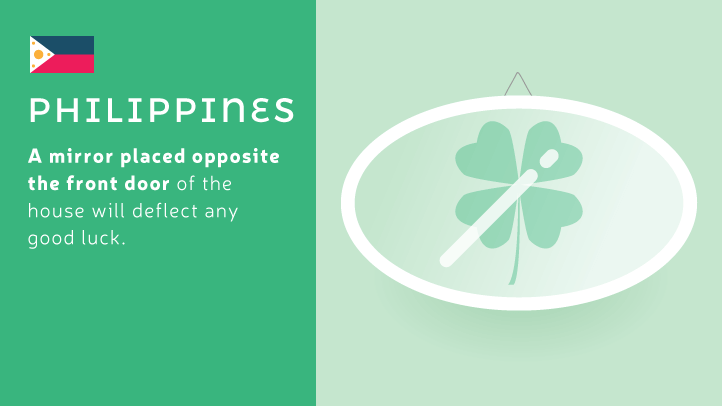 According to Philippine superstition, a mirror placed directly opposite the front door to your home will automatically deflect any good luck trying to enter! Finally, one of our favourite weird and wonderful “don’ts” for 2017. According to superstition in Korea, you should never leave an electric fan running overnight in a room with the windows and doors closed. 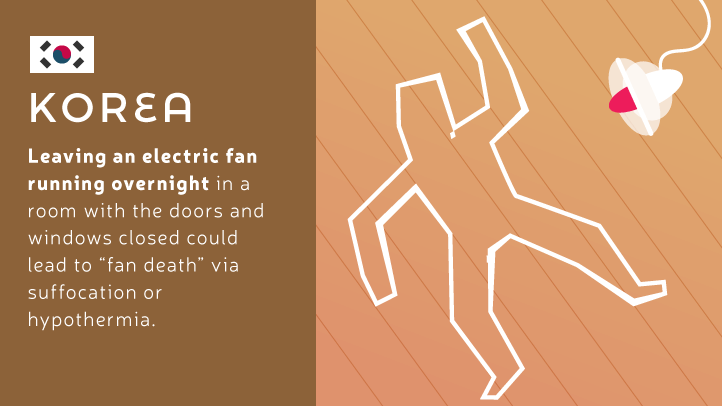 Doing so could lead to “fan death” via suffocation or hypothermia… Who knew? We’re not just going to give you a big long list of things to avoid doing… we’ve got a few good luck charms up our sleeves, too! Countries such as Norway and Denmark all have their own unique traditions and superstitions when it comes to bringing good luck. 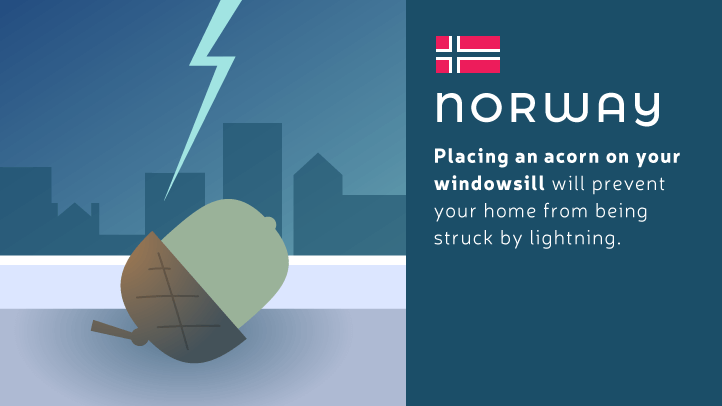 Scandinavian countries are steeped in Pagan history and many superstitions are routed in nature, this is particularly true of Norway who will place acorns on windowsills to prevent lightning strikes. 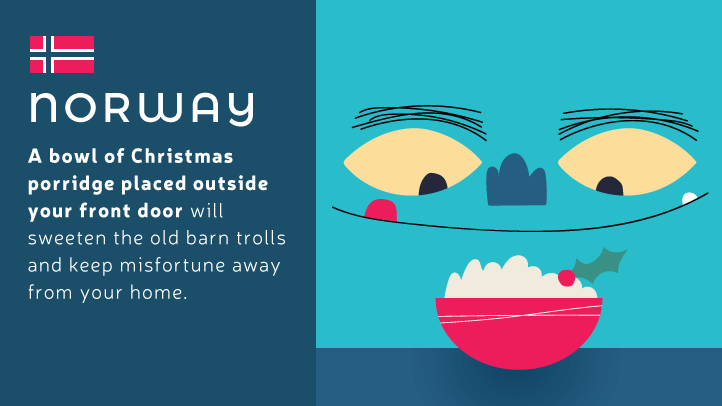 Feeding the local trolls is also a great way to bring good luck and keep misfortune away from your home in Norway simply place a nice hot bowl of Christmas porridge (check out this mouth-watering recipe for risgrøt at The Modern Proper) on your doorstep and you’ll be just fine! 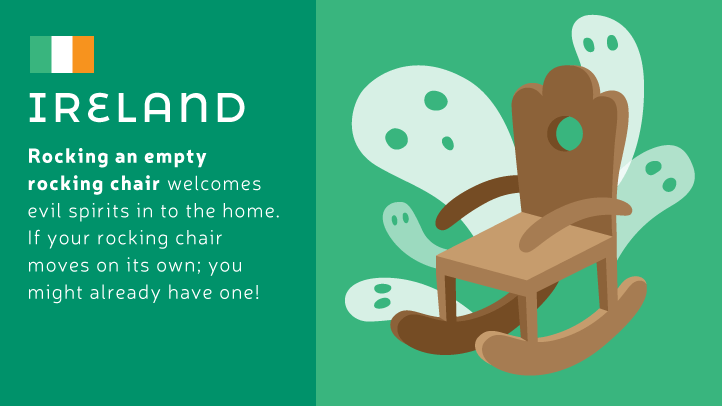 Denmark like to live a little more dangerously when it comes to superstitions. 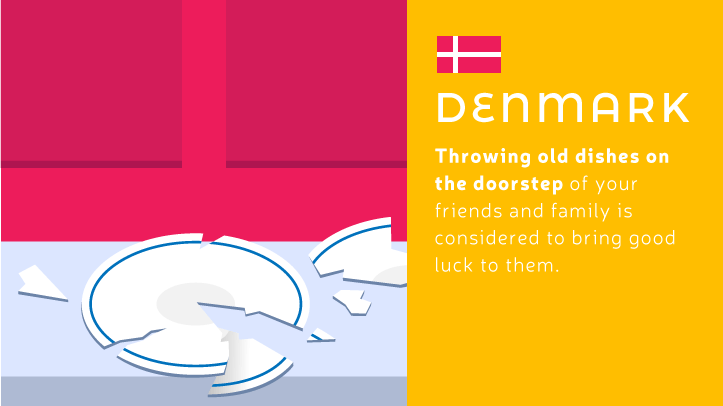 Throwing old dishes on the doorstep of your friends and family is considered to bring them good luck. Definitely not one for the faint-hearted and safety gear is advised! 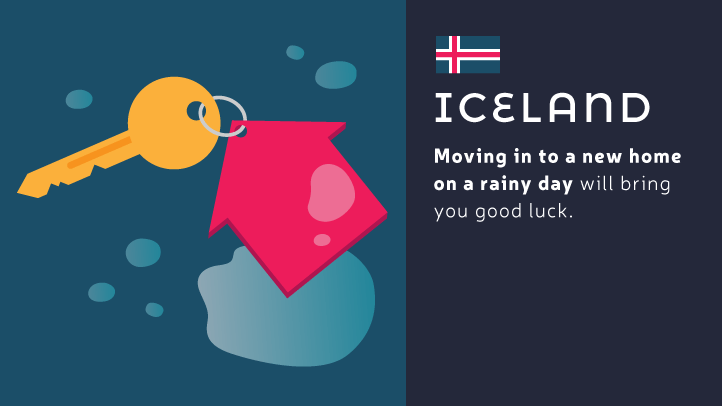 In Iceland, moving house on a rainy day is considered to be lucky. Perhaps this is just a way to put a positive spin on the oftentimes unpredictable weather. 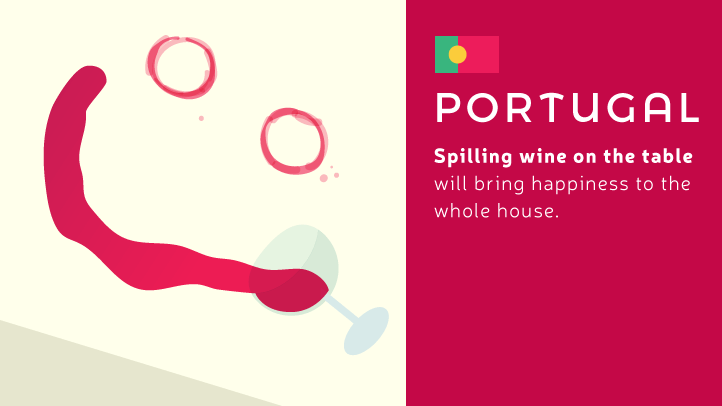 In Portugal, spilling wine on the table is said to bring happiness to the whole house. This doesn’t mean you can chuck a glass of wine on the table and expect the good times to roll (who’s wasting wine like that, anyway?) 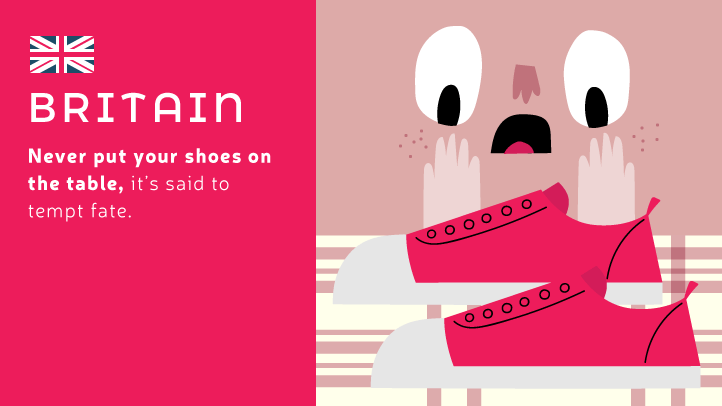 but accidentally spilling a drop during a dinner party is a good sign. Superstitions such as those we see here, have most probably been around for what seems like forever and have been passed down through many generations. But even if we say we donít believe, thereís always that one little bit of us that wonders what if? 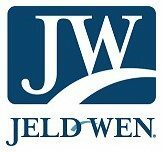 Liked our pretty pictures? 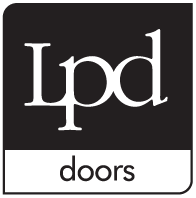 Why not share them with your readers? All you’ve got to do is copy the code below and paste it in to the text editor on your site – easy, peasy – no tempting fate involved.